This summer, as the temperatures rise and a dense, humid fog settles over Philadelphia, many city-dwellers retreat into their air conditioned apartments and row homes to find cool relief. But if you're looking for a more fun and active way to cool down this summer, flee to one of the many creeks, rivers, lakes, or bays around the area instead. Bring your own kayak, canoe, paddleboard, or tube if you have them, or take advantage of one of the many rental facilities located at each place. So grab a friend, your 'yak, and a cooler of cold ones and jump into one of these top spots for paddling around Philadelphia. While the Schuylkill isn't the most secluded spot on our list, it certainly wins the award for most convenient, if you live in Philadelphia. 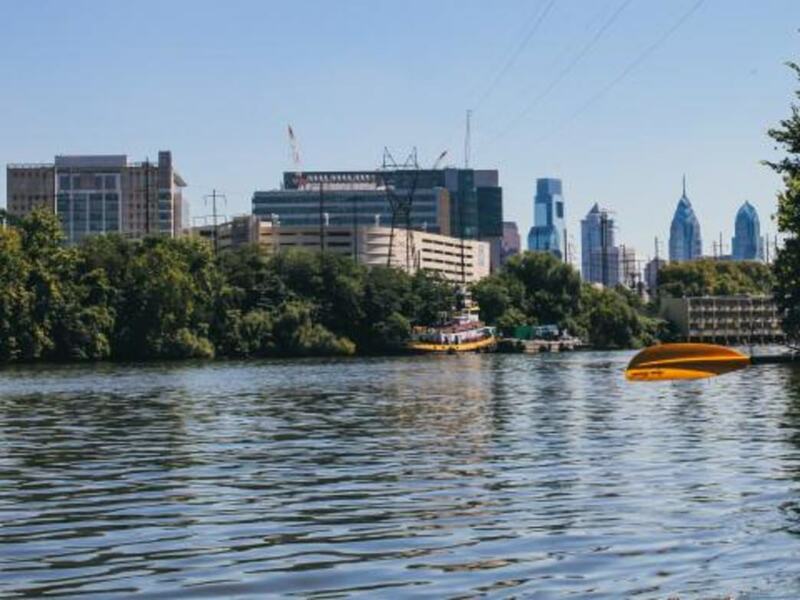 If you're in Center City, head to the Walnut Street Dock on the Schuylkill Banks with your own kayak or canoe and launch for free. If you need to rent a vessel, Hidden River Outfitters operates at both the Walnut Street Dock and in Manayunk, just a few miles upstream. 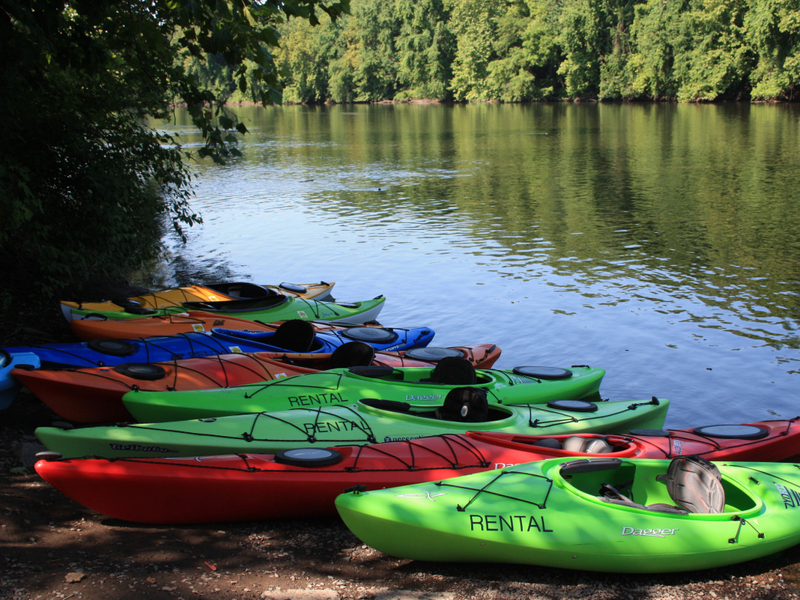 They offer tours and lessons for new and experienced paddlers alike, and the Manayunk tours include post-paddle meals at the Manayunk Brewery. 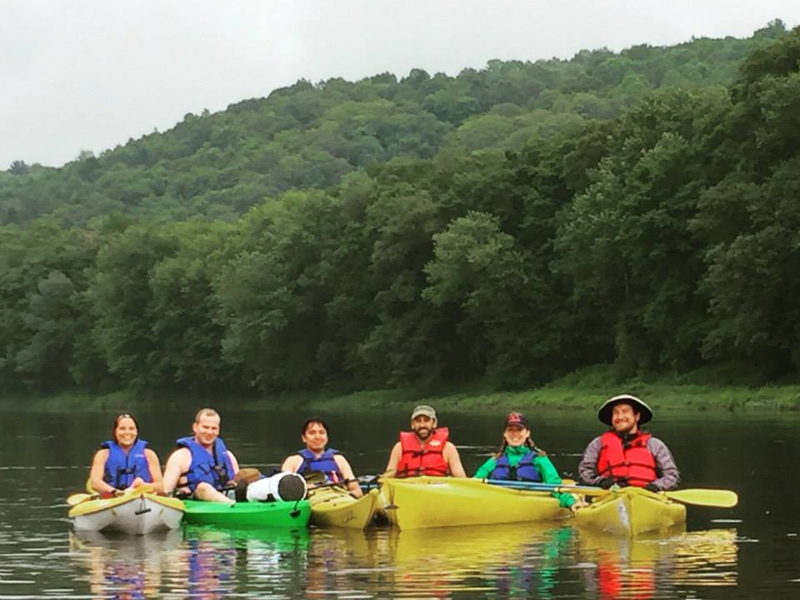 Finally, if you're looking for more advanced paddling resources in Philly, check out the Philadelphia Canoe Club's website —they offer whitewater paddling lessons and organized trips to more rough waters. 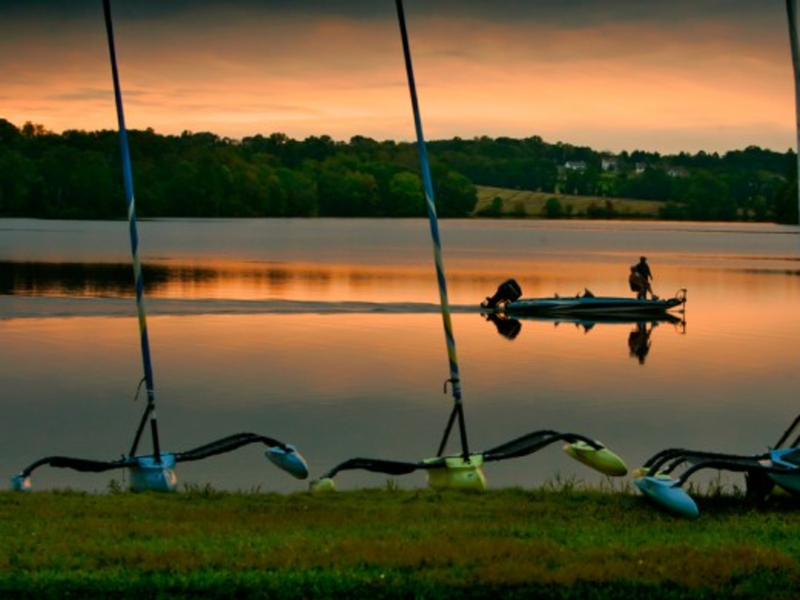 Located less than an hour northwest of Philadelphia in Downingtown, PA, Marsh Creek Lake is a quiet, hidden gem just waiting to be explored. The manmade lake does not allow gas powered boats, making it a perfect place to launch your canoe or kayak for flat water fun. 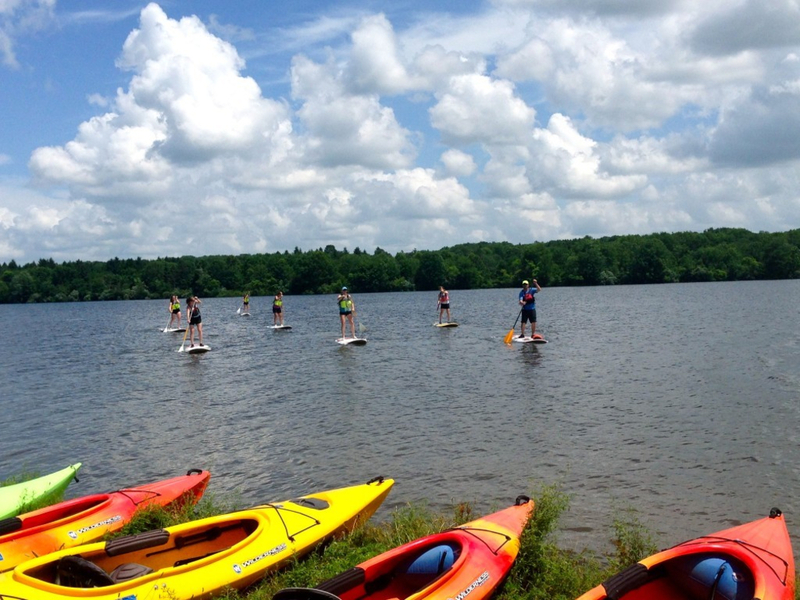 Rentals and lessons are offered by Marsh Creek Watersports, who also sell used kayaks, paddleboards, sailboats, and windsurfing boats. If you're feeling adventurous, try one of their night tours , which start at 8:30 PM on special evenings. While the Brandywine is actually a creek that feeds into the larger Delaware River, it's colloquially known as a river around Southeastern Pennsylvania. The slow-moving body of water is shallow and shady, making it perfect for a lazy day of tubing with friends on a hot summer day. 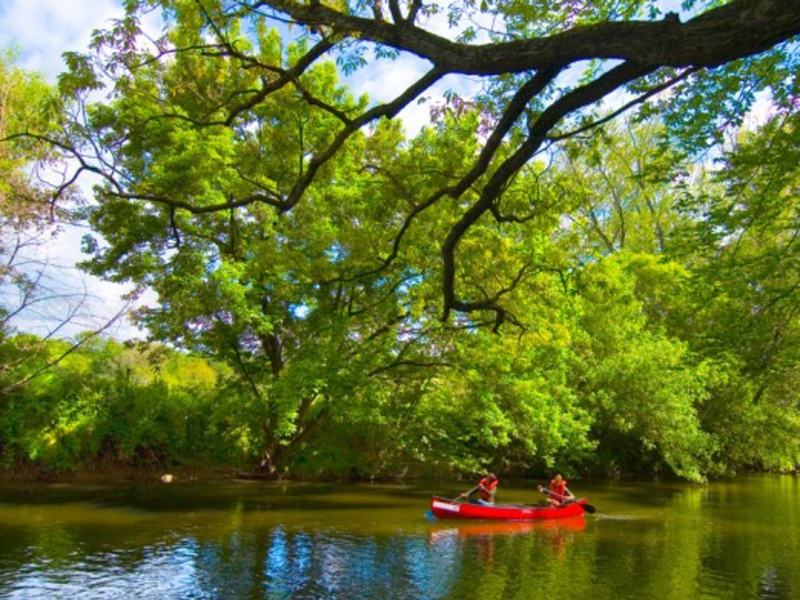 Head to the Northbrook Canoe Company in West Chester, PA for tube, kayak, and canoe rentals and transportation. Reserve your choice of a two or three hour trip, and Northbrook will bus your group and your vessels upstream for a fun and relaxing day on the river. Don't forget to bring water shoes, or purchase them for a low cost at Northbrook. At 1,450 acres, Bucks County's Lake Nockamixon is southeastern Pennsylvania's largest lake. There are six boat launch areas with many options for rentals including canoes, motorboats, rowboats, paddleboats, kayaks and pontoon boats. Take advantage of the 5,286 acres of park surrounding the area by pulling off the water for a hike or picnic lunch. Additionally, Lake Nockamixon is also home to some of the area's best mountain biking trails . Ten rental cabins are located on the south side of the lake if you'd like to turn your trip into an overnight adventure. The middle Delaware River offers some of the most epic paddling adventures in eastern Pennsylvania. Though you'll need to venture a couple hours north of Philadelphia to get the most out of your trip, it's definitely worth the drive. Multi-day paddling trips are a breeze with the option to camp at free sites along the river provided by the National Park Service. The free sites are first come, first served, though there are a few private campsites that allow reservations for a fee. Set up your trip rentals and transportation through one of the several liveries along the river, who will also recommend trip mileages based on the number of days you plan to paddle. For those planning to travel the full 34 miles from Milford to the Delaware Water Gap, plan to camp at least two nights and paddle three or more days. Be sure to bring a water filter or other water purification system, and hang your food at night since the park is also home to many black bears.